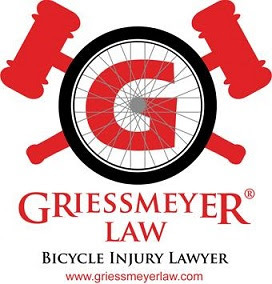 When a bicyclist gets hit by a car, he or she can currently recover the reasonable value of the medical care required to treat his or her injuries. The reasonable value is the amount of medical bills from doctors and hospitals. Large health insurance corporations have agreements with hospitals and medical providers where the health insurance corporation only pays a certain percentage of the billed amount. For example, if the doctor bill is $2000, the insurance corporation may only pay $1,200. These health insurance corporations make a lot of money in monthly premiums from people, and also in the negotiated reduced rates. Large insurance corporations love money. They always want more money. 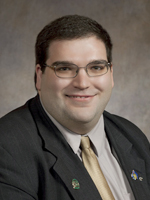 A new bill has been proposed by representative Andre Jacque in Wisconsin that if passed, will benefit insurance corps and harm injured bicyclists. As of February 21, 2013, the following "lobbying principals" were listed for the proposed bill. 3. National Federation of Independent Business; (listed on their website: "As the nation's legal system continues to spiral out of control and billion-dollar lawsuits become the norm, NFIB is working hard for legal reform in all 50 states. Along with pushing for legislation that abolishes joint-and-several liability abd caps excessive punitive damages, NFIB will fight for legal services that level the courtroom playing field for small business. After all, just one frivolous lawsuit can force a small business to close its doors forever." 5. Wisconsin Defense Counsel; (a group of lawyers who defend insurance corporations, other corporations, and the insureds who get sued for injuring others along with other civil defendants. According to their website: "We live in a society characterized by a growing "see you in court" mentality. More and more disputes and claims for injury are resulting in civil lawsuits." 6. Wisconsin Insurance Alliance; (a legal advocate for insurance corporations in Wisconsin. They have previously argued against higher insurance limits for people. Interestingly, they argued that they didn't want people to have to pay higher premiums. This is odd considering the premiums go directly to the insurance industry. My opinion is that they argued against higher limits because the insurance corporations would then be responsible for paying more when an insured is injured. They also argued against "stacking." In the past, people who paid for three separate insurance policies could combine all three policies if they were injured. Stacking is now prohibited so if a person pays for three policies and is injured, they can only use one of the policies, not the three they paid for. 7. Wisconsin Manufacturers and Commerce (on their website they show a scale that says, "Big stakes for upcoming Supreme Court Election," and an article that says, "Mining, debunking environmental myths," and says that passing iron mining reform bills/laws will create thousands of family supporting jobs in Wisconsin (sound familiar). Note that Jacque is the same person who recently pushed the “pothole liability law.” This law (which passed) generally gives immunity to the government for most highway defects. A couple weeks after the law was passed, a 51 year old man was severely injured by a softball size ball of concrete that crashed through his window. It looks as though the 51 year old man will not even get a chance to have an unbiased jury of his peers decide who was at fault if anyone. That is scary because it means there is no accountability for people who fail at their job. It is also scary because the government is making laws that limit a person's constitutional right to a jury trial. This reminds me of a similar Wisconsin case where a volunteer firefighter ran a red light without the statutorily required lights and a siren and a person was injured. The case was thrown out based on immunity. The injured person could not even get a jury to hear what happened and decide who was at fault if anyone. Jacque’s proposed bill is called the “jury information act.” He wants juries to be able to see the amount that the health insurance corporation paid so insurance defense lawyers can argue to the jury that the lower amount is the reasonable value of the medical treatment. This will obviously result in less money for the injured biker and more money for insurance corporations who are contractually obligated to pay for the negligence of drivers who hit bikers. Jacque's exact proposal was specifically rejected by the Wisconsin Court of Appeals and the Wisconsin Supreme Court in 2007- see Leitinger v. Acuity 2007 WI 84. In that case, the insurance corporation defense lawyer argued the the amount paid by Leitinger's health insurance company should be provided to the jury so the jury could determine the reasonable value of treatment. The trial judge in Milwaukee allowed evidence of the amount paid. The Wisconsin Court of Appeals reversed the trial judge and the Wisconsin Supreme Court ruled that the trial judge was wrong in providing evidence of the health insurance payment to the jury. The Wisconsin Supreme Court held: " For the reasons set forth, we affirm the decision of the court of appeals. We hold, as did the court of appeals, that the collateral source rule prohibits parties in a personal injury action from introducing evidnce of the amount actually paid by the injured person's health insurance copany, a collateral source, for medical treatment rendered to prove the reasonable value of the medical treatment." Although Jacque's proposed bill is called the “jury information act,” the proposed bill only seeks to tell juries about the above information which limits an injured person’s ability to recover money. Jacque is likely aware that lawyers cannot tell a jury how much an injured person pays in monthly premiums to even have health insurance. The amount of monthly premiums cannot be considered by a jury. Neither can the thousands and sometimes tens of thousands of dollars an injured person has to pay in costs and fees to get to a jury. Jacque’s proposed bill provides a benefit to drunk and texting drivers who injure bicyclists. For example, if a drunk driver hits a bicyclist and the medical bills are $100,000, but the bicyclist’s health insurance company only paid $80,000 in bills, the drunk driver gets a benefit of $20,000. The benefit is because the biker paid monthly premiums for health insurance. But the monthly premiums amounts, length of time paid etc. cannot be provided to the jury. Thus the drunk driver benefits, the insurance corporation having to pay the jury verdict benefits, the health insurance corporation gets its money back, and the biker gets nothing. Most people also do not realize that they have promised [in their contract] to pay their health insurance company back for any bills caused by a third party like the drunk driver. So, in the above example, the biker pays monthly premiums for health insurance, gets hit by a drunk driver, and the jury awards $80,000-the amount paid by the health insurance corporation. Not only does the drunk driver save $20,000, the biker gets no money for medical bills. The $80,000 goes to his health insurance corporation. Moreover, even though the health insurance corporation gets the $80,000 back, the biker does not get his monthly premiums that he has paid back. The jury cannot hear information about monthly premiums. The most troubling aspect of this proposed bill is how one sided it is against injured persons. People are already at a significant disadvantage when fighting against insurance corporations with endless money. This proposed bill seeks to inform the jury of information that harms the injured bicyclist-the smaller amount paid as compared to the actual billed amount. However, the jury never is instructed about other aspects of insurance that could potentially harm the insurance corporation. For example, in Wisconsin, the jury cannot be instructed of how much the insurance policy limits are, the jury cannot be instructed that if an injured person is found 51% or more at fault they get nothing and have to pay the costs for the other side, and the jury cannot be instructed that any money paid by the health insurance corporation goes back to the health insurance corporation, not to the injured person. In sum, Jacque’s proposed bill saves insurance corporations money, benefits drunk and texting drivers, and harms injured bicyclists. Please spread the word and do what you can to help the little guy verses ultra rich insurance corporations. Who should get a benefit, the injured person hit by an uninsured driver, or an insurance corporation with $17.3 billion in assets. ROTHMAN. Referred to Committee on Judiciary. person in all other matters. value of the health care services provided to the injured person. source other than the defendant to compensate the claimant for injury is admissible. claims based upon subrogation or lien. present evidence of payments made or benefits conferred by collateral sources. (1) This act first applies to actions filed on the effective date of this subsection.